Apple’s self-driving car fleet is wheel-y big. From 27 permits only a few months ago, Apple today has 45 permits to test autonomous vehicles on public roads in California. By comparison, Tesla has 39 and Uber has 29. The news is reported as part of a Financial Times article published in the wake of Uber’s recent fatal accident involving a self-driving car striking and killing a pedestrian. Apple is rumored to have a team of hundreds of engineers working on self-driving car technology. At first, the company reportedly planned to build a car from the ground up. However, those goals have now supposedly changed to building only the underlying navigation system for a self-driving car. While Apple is staying quiet about its plans, there have been signs that research has continued. For instance, Apple reignited rumors by publishing an online research paper describing how neural networks can be used to help improve accuracy in Lidar technology, often used in autonomous vehicles. Late last year, a photo posted on Google Earth meanwhile showed a former Fiat Chrysler Automobiles facility in Arizona that Apple might be using to test autonomous vehicles. The satellite image depicts a “proving ground” with urban street configurations, such as crosswalks and intersections, which would be necessary for putting a self-driving vehicle through its paces. Do you think Apple should be focused on building self-driving cars? 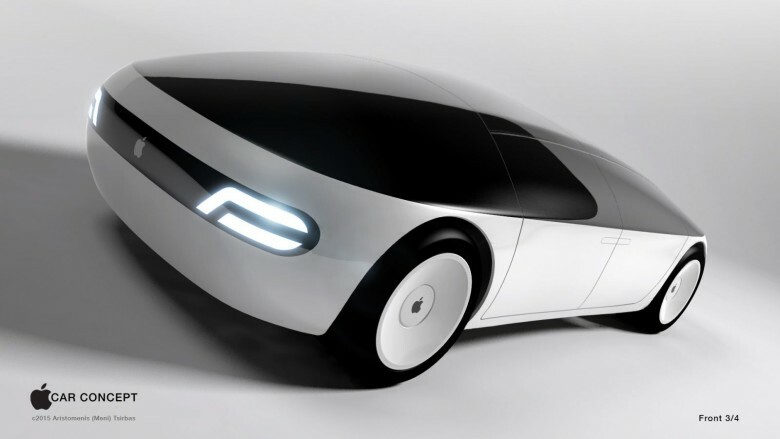 Does the prospect of an Apple Car of some sort excite you? Let us know in the comments below.